Thomas Day specializes in the area of long term care planning and is the director of the National Care Planning Council. The National Care Planning Council was launched in February of 2006 and currently has 7 full-time and part-time employees. To professionals in the community, we offer our books, our marketing package for veterans consultants and our state council marketing system. We also offer internet listing services to our 1,400 plus members on over 45 different websites. 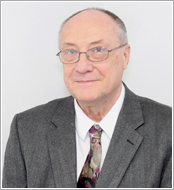 Tom has devoted many years to researching and writing articles and books about long term care issues. He also keeps himself busy by doing radio interviews and webinars. Over half of each of workday Tom spends talking to many people all over the country -- both professionals in the eldercare field as well as individuals looking for help. For many years, prior to becoming involved with long term care issues, Tom taught retirement planning seminars at two local colleges. As a result of this effort he began practicing fee-based financial planning. He was also a registered investment adviser. A particularly trying experience with long term care with both of his parents and with the parents of his wife, Susan, convinced him that most people fail to plan for one of the greatest crises in their lives, long term care. For this reason he has devoted his practice exclusively to helping people plan for long term care or as it is more commonly called eldercare. Tom graduated from the University of Utah with a BA in physics and math and an MBA in finance. He holds a CLU designation from the American College. Tom and his wife Susan live in Centerville, Utah. They have seven children and 21 grandchildren.